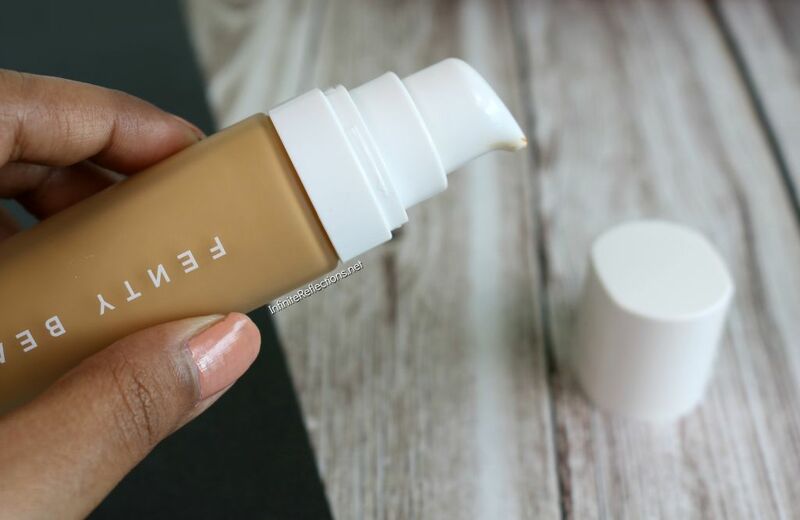 Today I want to share my thoughts on the Fenty Beauty Pro Filt’r Soft Matte Foundation, which was quite the rave a few months back. I have been using this for around 2 months now, and I think I finally have my thoughts on this product. 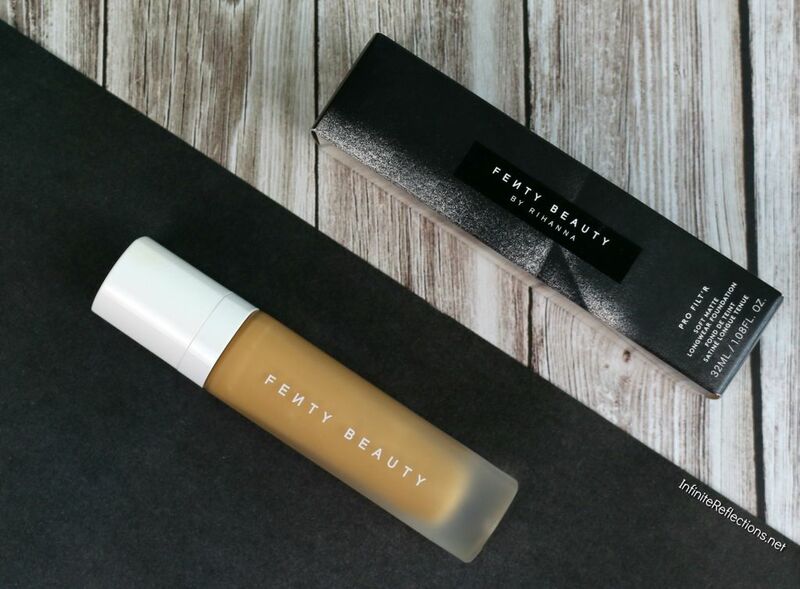 As you all must be knowing, Fenty Beauty is a brand launched by Rihanna last year and the foundation was one of the most anticipated products because it launched with a range of 40 shades. That is surely something very exciting and I was more than happy to get my hands on it. The first thing which I like about this foundation is the packaging. It has a frosted glass bottle with a white cap and the feel of the packaging is very luxurious and sleek. The foundation comes with a pump, which is always a bonus. No complains about the pump, very sleek as the rest of the packaging. 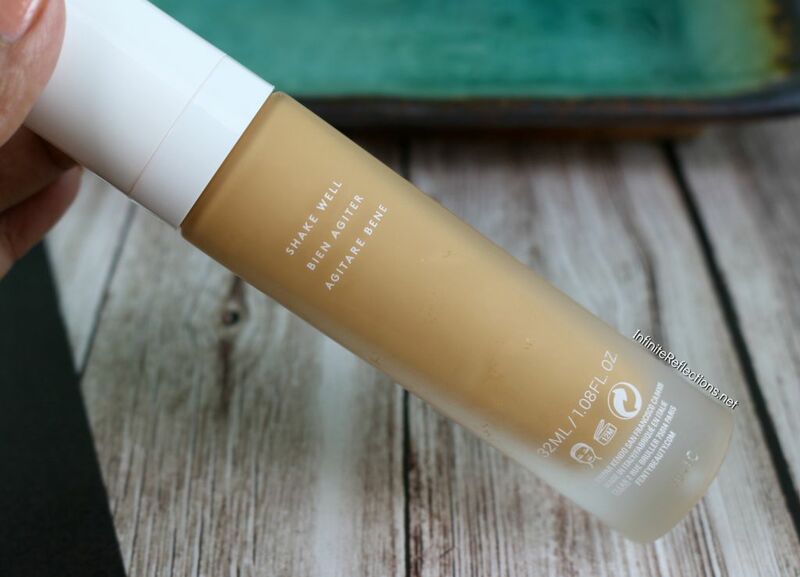 This foundation is a oil free formula. Here is the list of ingredients. This is probably the second thing which I like. I was pleasantly surprised to see this priced at SGD 50 for 32 ml (1.08 Fl. oz.) in Sephora Singapore. Considering, its a high-end Sephora brand and the hype it created, I think the product has been priced very fairly. That makes it one of the less expensive foundations in Sephora here. Another great thing about this foundation is the shade range. There are 40 shades to choose from in various undertones so I think a lot of people will be able to find a closer shade match. Rihanna needs to be applauded for this, she showed that coming out with a decent shade range is not that difficult after all. 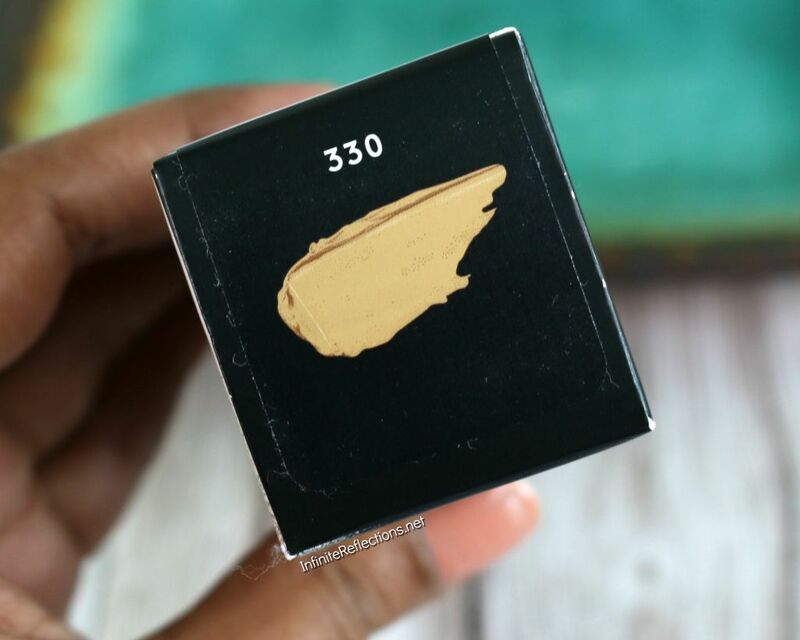 I got the shade 330 Warm-Tan which is a pretty good match for me. 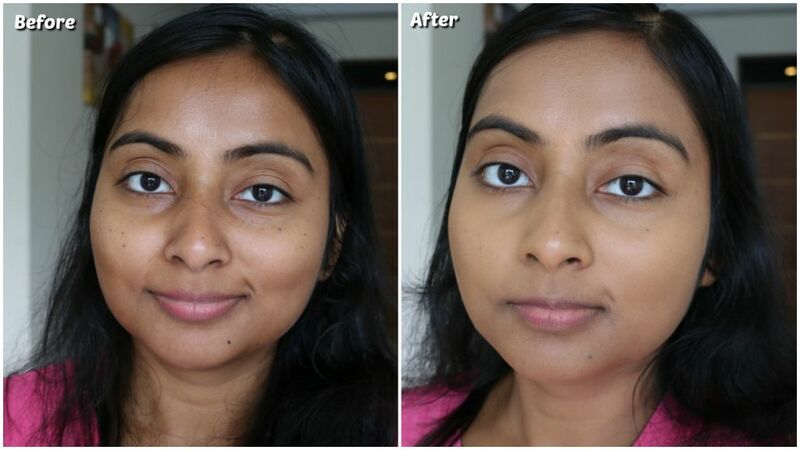 This foundation does oxidise a bit, so it is officially advised to buy a shade lighter than you would normally do. For reference, I am somewhere between NC42 and NC43 in MAC Foundation, leaning more towards NC43 and my skin type is DRY. 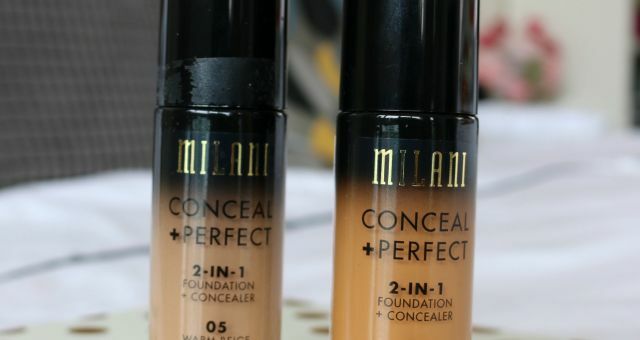 I am not a person who gravitates towards matte foundations easily, since I have dry skin. I decided to try it because it claims to be a soft-matte foundation and because of the hype, honestly. So, this is definitely a candidate for “Social Media Made me Buy It” post or a video. Read on to find out how it worked on my dry skin. 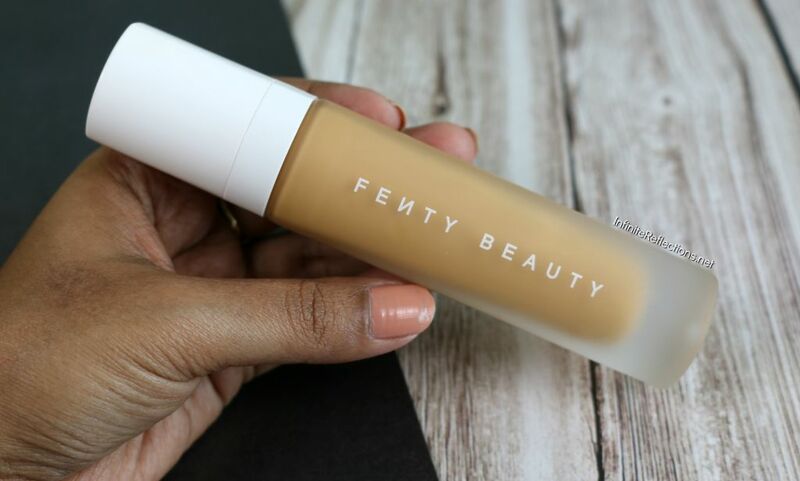 It claims to be a buildable medium-to-full coverage foundation. Although, on my dry skin it is a bit of a challenge to build up the foundation since it settles down to a matte finish quite quickly. The texture of this foundation is very runny and liquid-y. Once applied on the face, it settles down to a matte finish very quickly. For this reason, you have to be very quick at blending out this foundation and the brush works the best in my opinion. 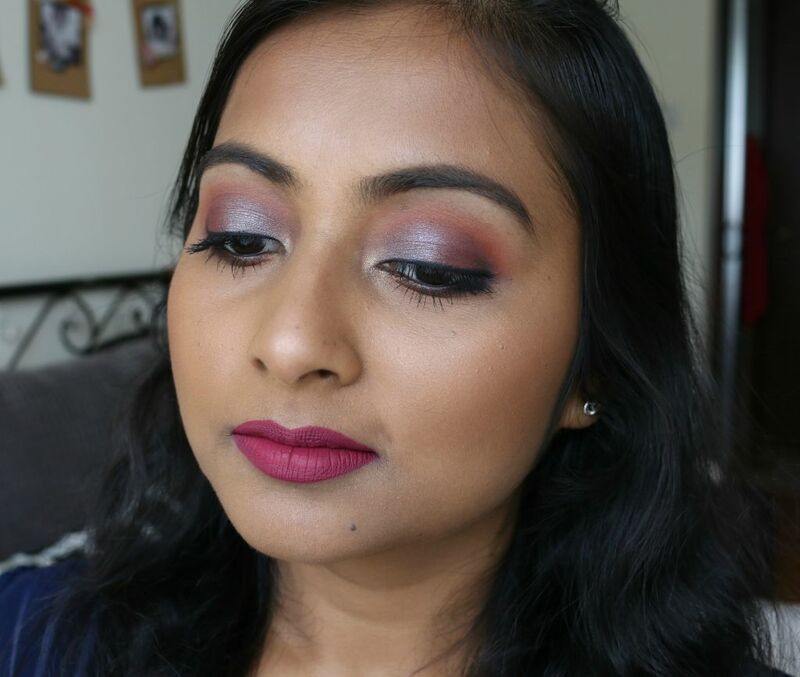 I usually finish blending one side of the face before applying any product to the other side. 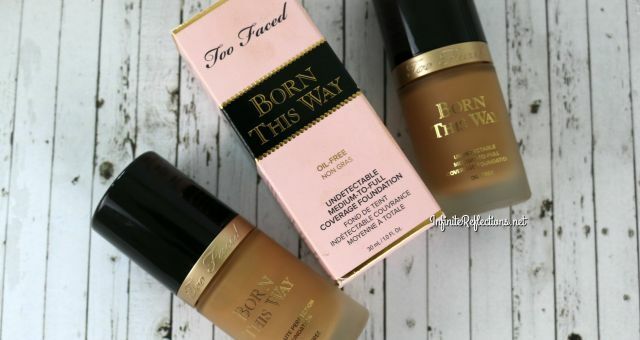 It claims to be a lightweight foundation and I totally agree with it. It doesn’t feel like wearing foundation and is extremely light weight. 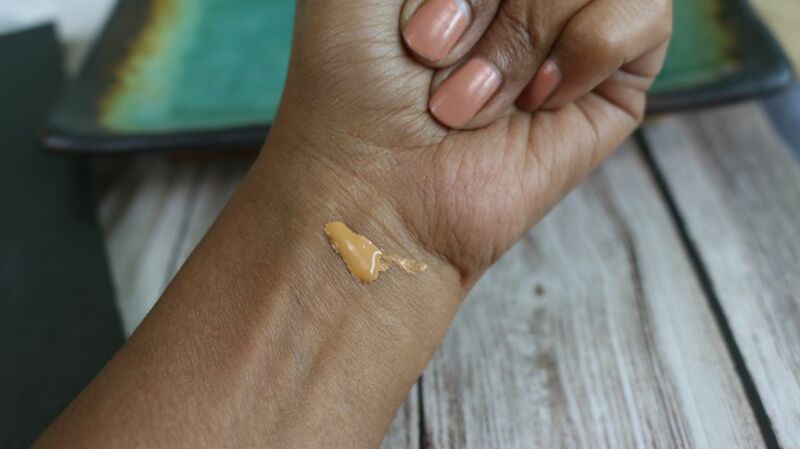 Finally, how did I find this foundation for my dry skin? 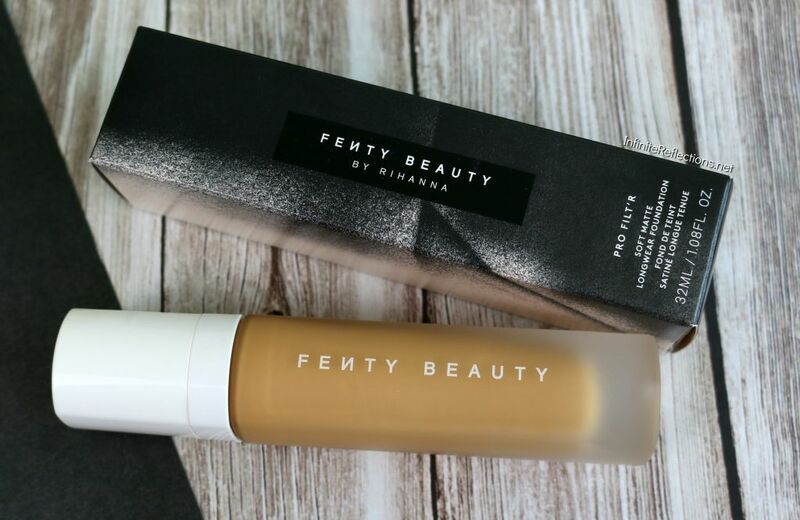 My verdict – I do really like this foundation but with some prepping of the skin. 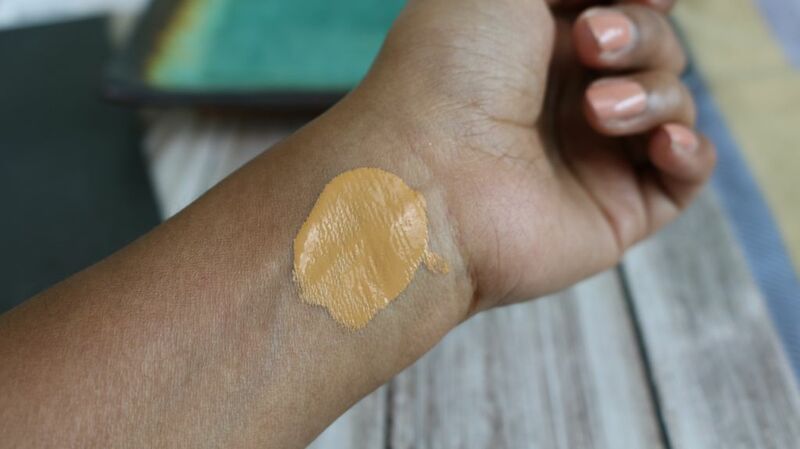 This foundation is definitely going to get a lot of love from combination or oily skinned people, but you can definitely make it work beautifully for dry skin as well. But, if you have very dry skin, then this may not be the right match for you. I usually moisturise and prime my skin really well before I apply this foundation, that gives a very smooth application and flawless look. I use a hydrating or glowy primer underneath which makes a huge difference to how the product sits on my dry skin. This foundation also has a tendency to cling to dry patches on my face, specially around my nose and few areas on my forehead. Those areas need some extra effort in blending but once blended the foundation does sink into the skin and looks very natural. It doesn’t look overly matte and doesn’t look dewy in anyway. Nevertheless, I like the skin-like finish of this product. Lastly, my favourite part about this foundation is that looks beautiful the entire time I wear it. It will tend to break apart a little towards the end of the day if I don’t prime and hydrate my face enough. 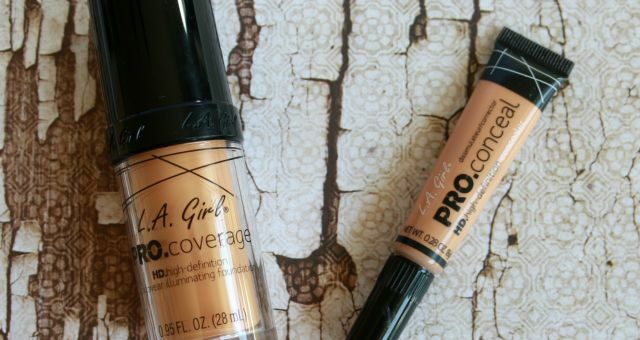 So, the key to make this foundation work for dry skin is to PREP and PRIME. 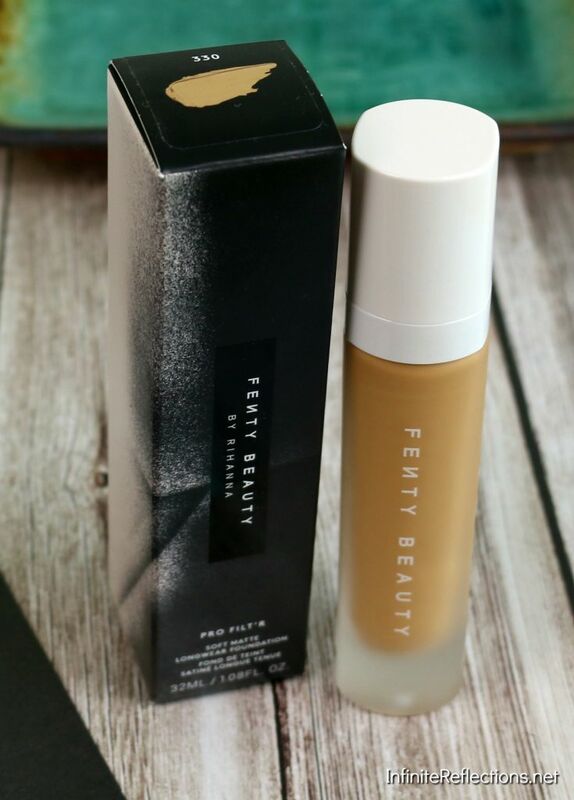 This foundation is definitely something different that I tried last year and so far I have been really enjoying it. 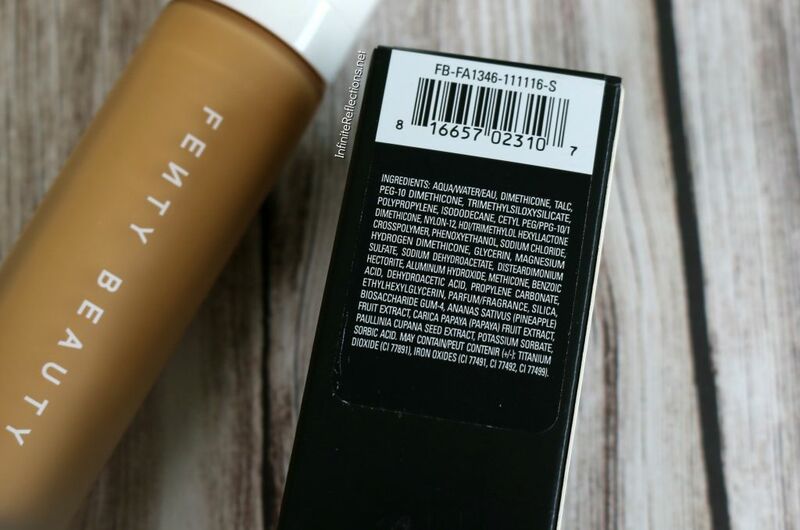 The formula is worth trying if you are a lover of matte finish foundations. I think, that’s all for this post. I hope it helps and I didn’t miss out anything. Any questions? Just ask below. Thanks so much for stopping by. This foundation look good, i like ur base makeup with this foundation on u.
I like this shade of foundation on you. I like how it covers on your wrist as well. But for that expensive a foundation I do not like that it needs so much prep work to work, and that it clings to the dry patches. I think maybe 1 shade lighter than me? 310?